AMS-Power is a quality-conscious company that prides itself in providing & maintaining top quality engineering & construc­tion services in all of its projects to date. 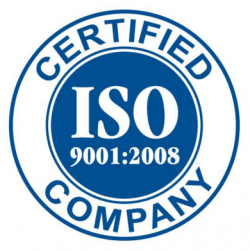 We are an ISO 9001-2008 certified company and our track record is a testa­-ment to our top management's commitment to Quality. All the products are made and services rendered as per client's specifications & codes. AMS-Power & Industrial Engineering Private Limited is a quali­ty conscious company in design & engineering, fabrication, manufacturing and construction works, possessing compre­hensive awareness about quality oriented work execution. The management of the company is committed to provide highest quality engineering services to its valued customers through continuous improvement measures in all areas of its Quality Control Management System." AMS-Power & Industrial Engineering Pvt. Ltd.
AMS-Power is an EPC (Engineering, Procurement and Construction) specialized, Industrial Construction & Fabrication Company that provides broad-based Mechanical, Electrical, Instrumentation & Automation, and Civil services to all types of industries. Copyright © 2018 AMS-Power. All rights reserved.